I have the entire set of bistro dinnerware and I absolutely love it. 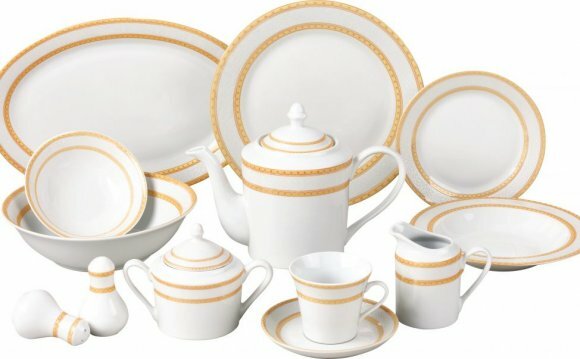 I have owned just about every other brand of white dinnerware out there and they all have gotten gray with silverware marks and look horrible after a very short period of time. I have had my sur la table bistro set for over a year, and they look brand new. I dropped a heave measuring cup on a cerea Noel in my sink and broke it ?? and had to replace one. These are just perfect for a nice, big bowl of soup (or a medium-sized salad). The bowl holds an entire 14.5 oz. can of soup with enough room to microwave without making a mess, and the bowl's shape gives you something to grab hold of without sustaining third-degree burns. I ordered these after a visit to a friend's house who has them. These bowls are perfect, especially for oatmeal but also for salads. Well made. You won't be sorry! All of our dishes are Bistro line. We like the sizing of the plates and bowls, and the bowls nest close together in the dish washer while still getting clean. Our only disappointment is that the beautiful white finish doesn't stay that way for very long. Within a year, the glazing will show a lot of wear and tear-those gray lines and shadows-and the finish will not be smooth. The dishes all continue to work fine and be otherwise durable, but they look dingy and ugly.